These cookies have been on my baking-to-do-list for a few months now… Ever since a good friend brought be a box of them from her local supermarket down in Virginia. I had one of them and was in heaven. 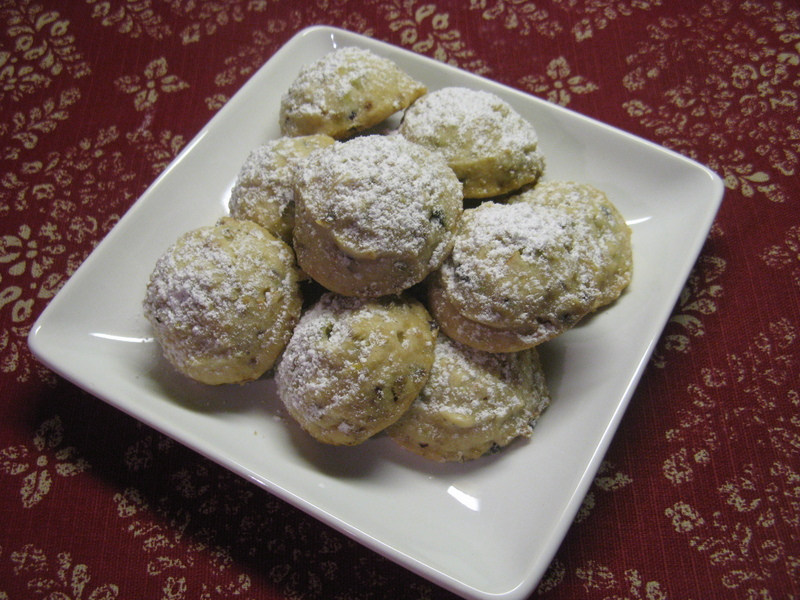 Hazelnuts, pistachios and confectioners’ sugar… How could it not be delicious!?! 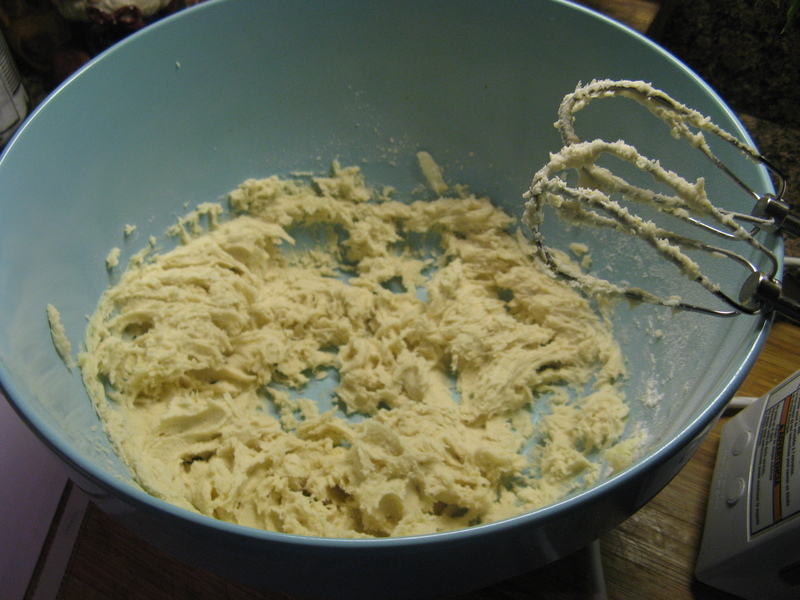 To create my own version I decided to tweak a recipe for Mexican Wedding Cookies that I had made for Cinco De Mayo last year. Those cookies are made with pecans so I decided to swap those out with an equal amount of hazelnuts and pistachios. 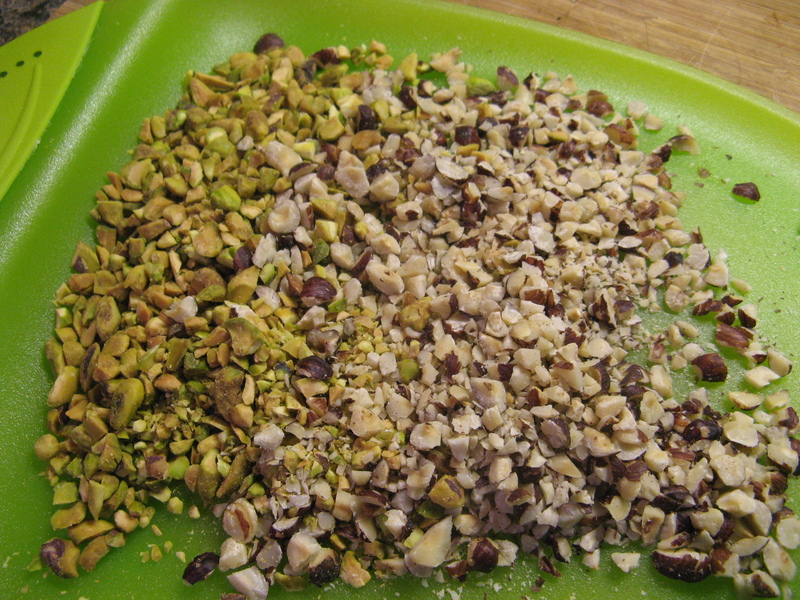 I began by chopping up a 1/2 cup each of hazelnuts and pistachios. 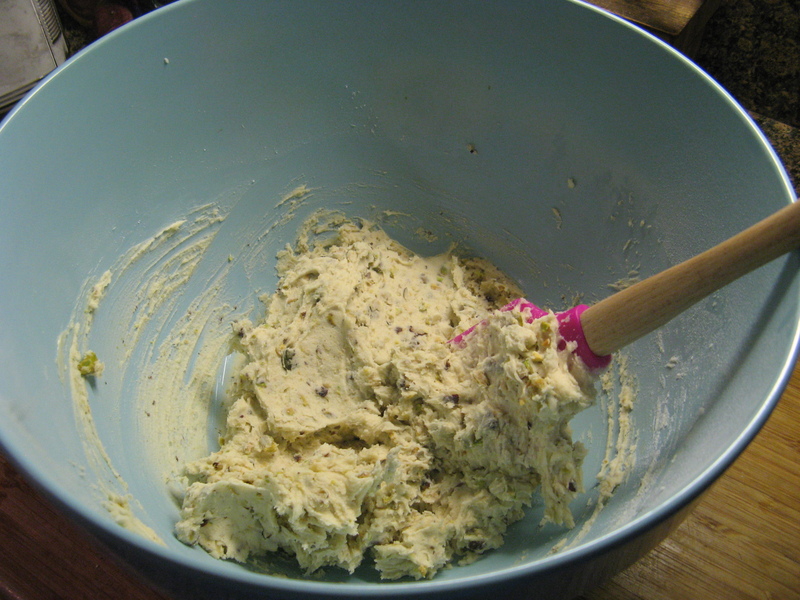 I set the nuts aside and began making the dough for the cookies by creaming together butter and confectioners’ sugar and then adding in vanilla extract. With the mixer on low speed I added in the flour. 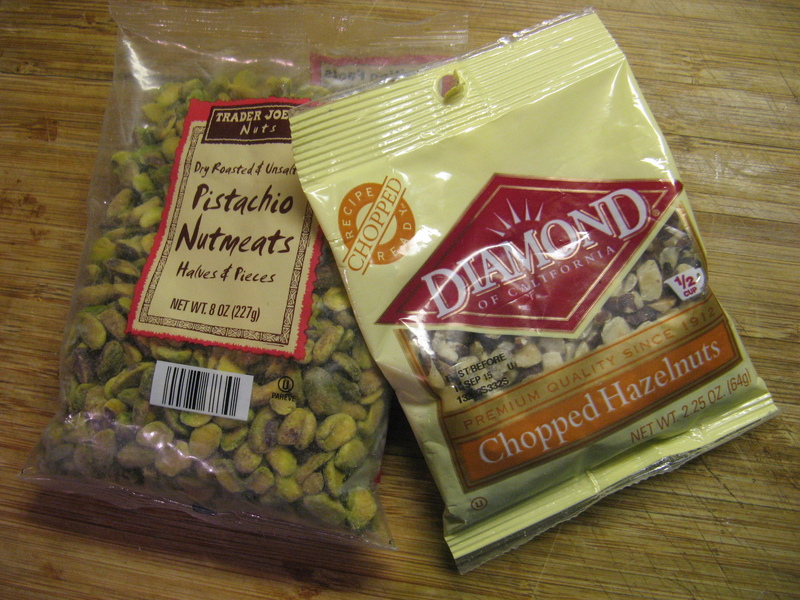 And finally I folded in the hazelnuts and pistachios. Using a cookie scoop I scooped the dough onto a parchment lined baking sheet and baked the cookies in a 275 F preheated oven for 35 minutes, until the bottoms were just beginning to brown. 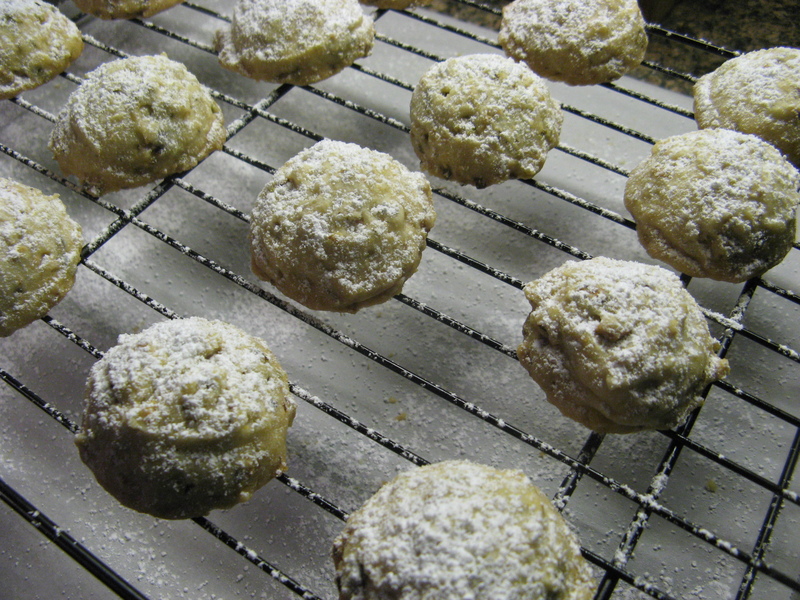 After letting them cool for a few minutes I sprinkled them with confectioners’ sugar. These cookies are super simple to make but big on taste! 1. 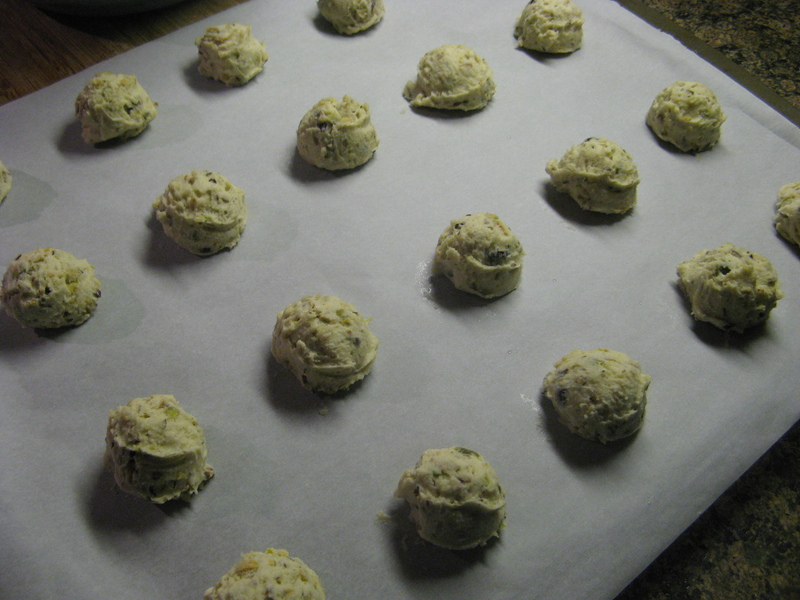 Preheat the oven to 275 F. Line cookie sheets with parchment paper. 2. 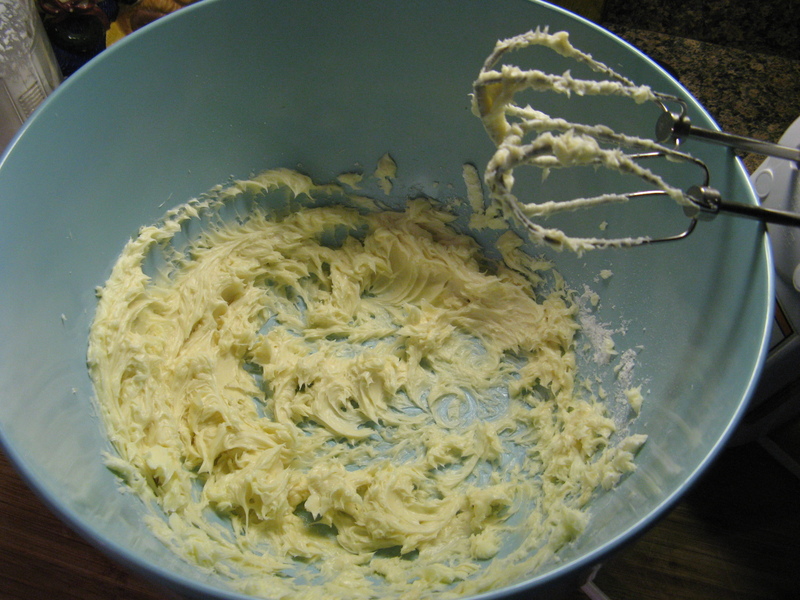 Using an electric mixer, cream the butter and sugar at low speed until smooth. Beat in the vanilla extract. 3. At low speed gradually add in the flour. 4. Using a spatula, fold in the hazelnut and pistachios. 5. Using a cookie scoop scoop the dough onto the parchment lined cookie sheet and bake for 35 minutes. 6. Transfer the cookies to a wire rack and let cool for a few minutes before using a sifter to dust them with confectioners’ sugar.